I started using Justdial three years back in Mumbai and one thing that has impressed me about them in all my interactions was the way in which they have personalised the services both in Mumbai and Bangalore. Justdial is like an offline Google and no wonder they have been quite successful. Compare this with Subway. The company in which I works give free lunches but I am a big fan of Subwaying my lunch. Each time I call them, the same girl picks up but never greets me by name and I have to recite to her my address and contact number each time. I am tired of doing it every time but since I love subway sandwiches I don't mind that much but sometimes I just don't call subway due to the frustration of doing it again and again. Compare this with Citibank/ ICICI Bank or any of the six banks I deal with. Each time I call them for my bank account or credit card related issues, I have to hear the music and advertisement on why citibank/icici bank is great. ( Not a good Point to interact with a customer who does not have patience) and I go to some stupid IVR menu which is not personalised even after they have all possible information points about me. The only personalised service ever I get from banks with my name in it is a Birthday mail once in a year and the credit card and account statements. In Internet, may be the scope for personalising the product is maximum. How often we get invitation mails from addresses like noreply@xyz.com or Hi, emails even after collecting all the information points. Some of the sites and web services just goes on collecting information points one after the another with out any road map on how it will be used(ever). Personalisation is one of the cornerstone features of any successful consumer Internet product, and the focus of a product manager should be in creating a simple but a personalised experience for users. It not only impressed and wows the users but also helps us in creating a number of visitor segments, and tailor the information that is presented for each segment. I guess if you look at where the revenue is coming from for these different businesses you can figure out the attention that they pay to each channel. Just dial is primarily focused on the web and phone for its customers and it bodes well for it to invest in the same. For subway, the major revenues should be coming from walk-in customers and their USP is anyway not focused on the dial-in customer "See and customize your food as its being made"
But if you look at Dominos, leaving their horrendous taste, their dial-in system has all the positive attributes that you described. As far as banks are concerned its still more of a hygiene factor to have a voice helpline. Maybe the costs of personalization doesn't justify the revenues (monetary and otherwise) yet? Hi maritian, Thanks for the comment. However you can also look at it in this way. 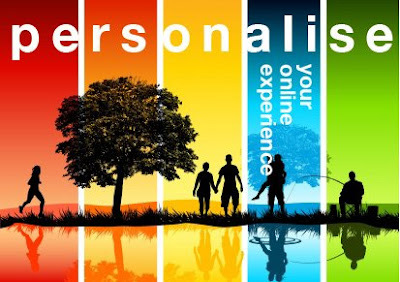 If you increase the degree of personalisation then it may attract more customers to your services and the reveue from each of these channels can be increased. My point was that increasing the personalisation in each of the customer touch points will increase the goodwill and word of mouth advertisemnt (like this post) and will give you more value in the long terms. Thanks for your point anyways, may be teh reason why these companies are not paying enough attention to personalisation may be that is the last thing in their focus.